EghtesadOnline: The rial on Monday pared more of its losses in the open foreign exchange market and was traded at around 154,830 to the US dollar. According to the Tehran Gold and Jewelry Union's website, the Iranian currency gained as much as 9% against the greenback by late afternoon. 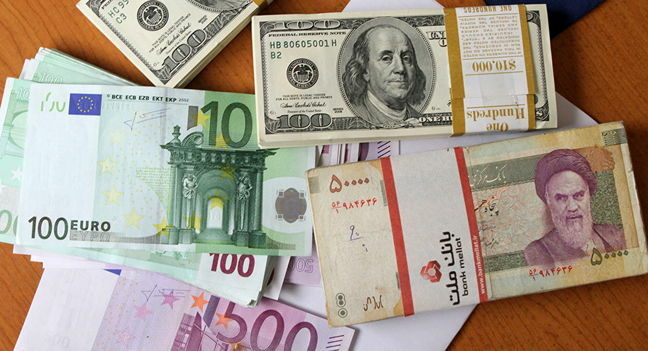 New measures by the Central Bank of Iran in easing currency rules and optimism about Iran's Action Plan with the global anti-money laundering body, the Financial Action Task Force are said to have been effective in the latest market developments. The gold coin was also bearish on Monday with the benchmark Bahar Azadi dropping by more than 5% and fetched 47.5 million rials ($ 295), according to Financial Tribune. The currency market was hit with a new bout of volatility last Wednesday with the dollar being trading at around 183,470 rials. New CBI policies are at work to restore stability to the chaotic currency market and the Head of Plan and Budget Organization of Iran was hopeful Monday that the new measures will produce the desired results, IBENA reported. The central bank has adopted five new schemes to help address problems of the struggling production units and plans are underway to implement the schemes in the current month, Mohammad Baqer Nobakht said in a meeting with the members of Iran Chamber of Commerce, Industries, Mines and Agriculture on Monday. He said the government’s most important duty is toward economic development and it is striving to bring a semblance of balance to the monetary, capital, goods and job markets. The CBI official website said Monday that the allocation of foreign currency at the official rate (42,000 rials) for importers has changed since June 22 and three ministries (industries, mining, and trade, agriculture, and health have been designated as responsible entities for allocation of currency to importers based on priority. The three key ministries are the only ones eligible for deciding about the allocation of currency with the final confirmation from the Industries Ministry. The central bank acts only as the provider of currency for importing basic goods and pharmaceuticals and does not interfere with appointing the importer.